You see many engineering applications that use the octagon to increase strength. This is simply due to the geometry of the eight sides and is why you often see crow bars built from octaganol steel. 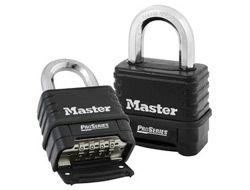 Masterlock is the first manufacturer to incorporate this technology into the shackle of a combination padlock making it more resistant to bolt cutting attacks. Unfortuantly it will not make much difference to attacks from hacksaws. 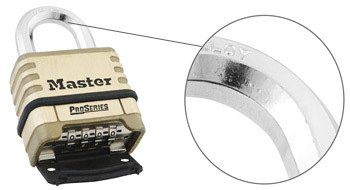 The lock is resettable to you own 4 digit code which can be done when the lock is in the open position. There are two body types to select from depending on your budget. Unfortunatley Masterlock no long has the brass version of this lock so only the Dicast version is available. The die-cast body is made from steel cast into the shape of the lock. It is approx 3mm thick with a protective black coating. The brass body is the more expensive option using a solid forged brass body which is both solid and weatherproof. 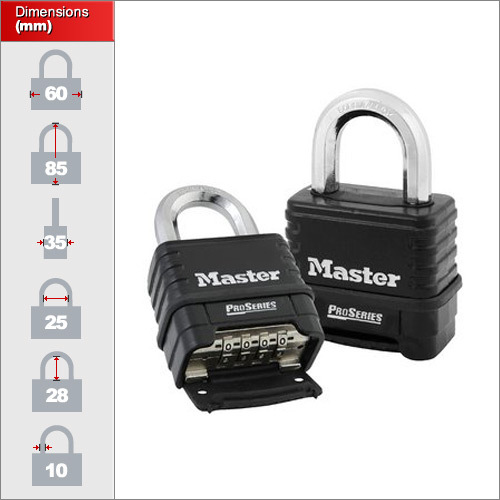 This padlock is ideal most medium to high security applications. 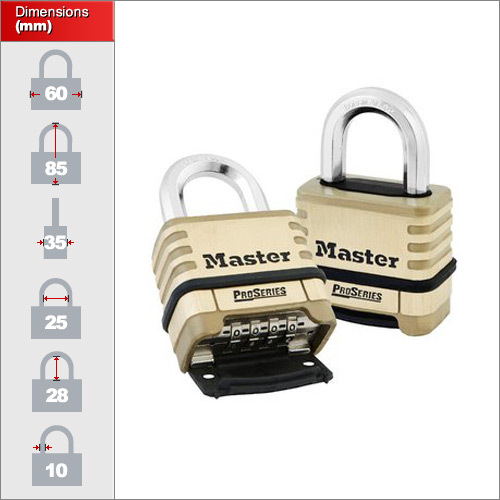 although it is highly weatherproof you may consider the weatherproof combination padlocks for prolonged outdoor use. For additional guidence on resetting the combination on this lock please see the follow instructional video.